Four reasons why solar powered generators are worth it! Solar powered generators can make all the difference in the world in the lives of multitudes of users. For a lot of people, these generators are particularly important in the event of a power outage of some sort. Solar powered generators can be charged just using the sun, which is a ubiquitous power source. Charging these generators in advance can make a huge difference when it comes to whether or not people will be prepared for power outages. With solar powered generators, the solar panels are attached to a generator. The solar panels will harvest the sunlight, converting it to electricity and then sending that electricity to the generator where it can be stored. The high capacity battery within the generator is capable of storing the newly generated electricity. Solar powered generators have gotten much better at storing electricity over the years. They’re generally much better at harvesting the solar power in the first place with their more effective panels. The capacity of the batteries has also expanded greatly. As such, it’s getting easier for people to be able to meet more of their electricity needs and power needs in general through solar generators. It’s important to note just how powerful modern solar generators really are. In order to get an equivalent level of power with most other generators, users would typically need a full system install. The battery capacities of solar generators are truly extremely high in the modern world. Solar generators really are capable of keeping the essentials running for very extended periods of time. Once people pay for the initial solar generator, they will typically be able to save a lot of money on electricity in the long run. The electricity that they produce from then on will be free in a way that the electricity that they would harvest otherwise never would be or could be for them. Solar generators are efficient in almost every single way, and people can truly get a lot of energy from them each and every time. One of the great things about solar generators is that they are environmentally friendly in a way that makes them very safe for all users. Many other fuel systems will produce fumes that can be toxic in large concentrations and when they are not properly routed. Some people will suffer tremendous health problems directly as a result of fuel systems that they have. Solar powered generators are capable of truly giving people clean energy, so this is not an issue. Obviously, this sort of clean energy is better for the environment. However, it’s also safer for other members of the household. There are no toxic fumes that can accumulate at the wrong moment. Solar generators are able to produce a lot of power at a high level, and most other systems would produce a lot of toxic fumes at the same level. Solar generators are truly effective and tremendously safe. Learn more about brands and models of solar powered generators. 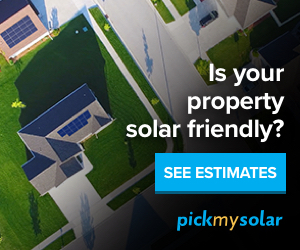 Also you can determine the savings that you can achieve to go solar by using this solar panel calculator from EnergySage.